Everyone is the creator of their own destiny. 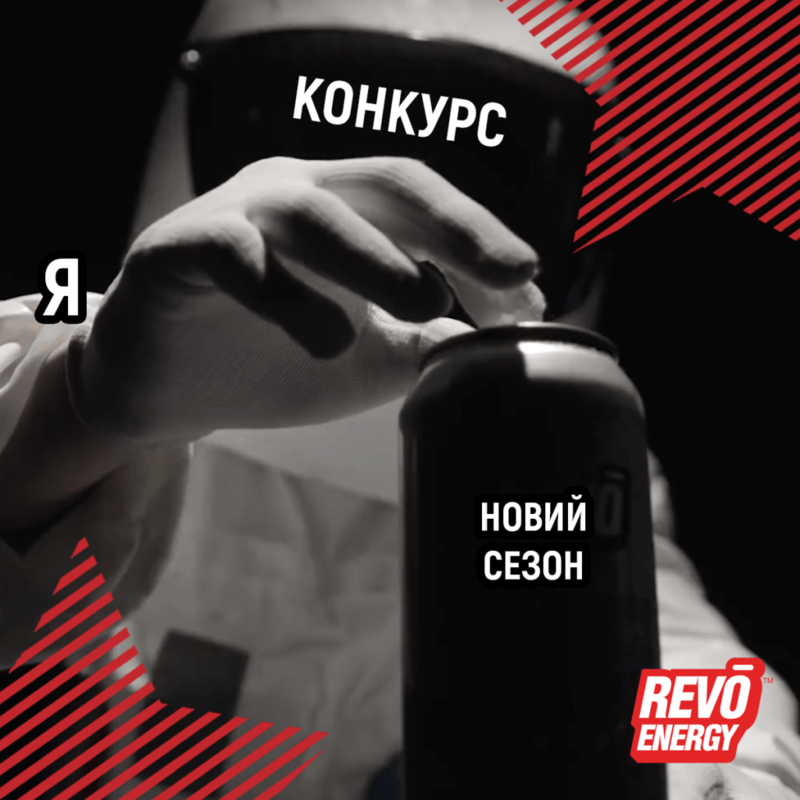 But REVO™ is so trusting of its fan community that it entrusts the development of the story of the Cosmonaut and the REVO Can to the most creative of their fans. Recently, on the REVO™ pages on Facebook and Instagram, a competition for the best ideas for the continuation of the Instagram-saga about the adventures of two inseparable friends was announced. Anyone who wants to become a co-author of the script is encouraged to subscribe to the social media pages, like the appropriate post, and suggest in the comments a vision for the head-spinning development of events in the mini-series. The authors of ideas for best episodes will receive a gift from REVO™. The results will be announced on February 28. Within a week of the announcement, the most incredible concepts have already been introduced: put the Cosmonaut in a village where the cows give REVO™ instead of milk, send him to a nomad trip with a Roma tribe, force him to clean the yard in front of his building and even get him to run for the highest office… It seems we are in for interesting and controversial times! “In the first season, we based the plot on real life, which is why it became so dizzyingly relatable. Our hero Cosmonaut overcomes an incredible amount of obstacles to get to a date with the girl of his dreams! For that, he gets help from his friend, the REVO Can, who imparts onto him his best qualities: savviness, courage, ingenuity and a sense of humor. From episode to episode, we observed how the comment section filled up with interesting theories and assumptions about what will happen next, so in the end, we thought: why not give the fans the freedom to write the story of their heroes? After all, nothing gives more enjoyment for communication as communal creativity. Especially if this creativity is filled with jokes and laughter. It is these values ​​that the brand is trying to convey to its consumer. So now, we are looking forward to how the fans decide the fate of their idols,” predicts Elena Selutina, PR Director of New Products Group.